Lorina Stephens has worked as editor, freelance journalist for national and regional print media, is author of seven books both fiction and non-fiction, been a festival organizer, publicist, lectures on many topics from historical textiles and domestic technologies, to publishing and writing, teaches, and continues to work as a writer, artist, and publisher at Five Rivers Publishing. 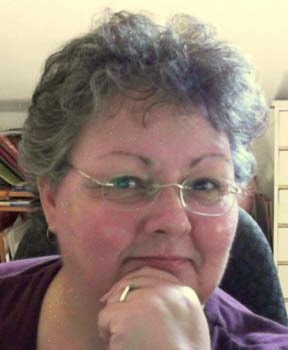 She has had several short fiction pieces published in Canada’s acclaimed On Spec magazine, Postscripts to Darkness, Neo-Opsis, Garden of Eden, and Marion Zimmer Bradley’s fantasy anthology Sword & Sorceress X.
Lorina Stephens is presently working on two new novels, The Rose Guardian, and Caliban. She lives with her husband of four decades in a historic stone house in Neustadt, Ontario.